What is considered an open source project? 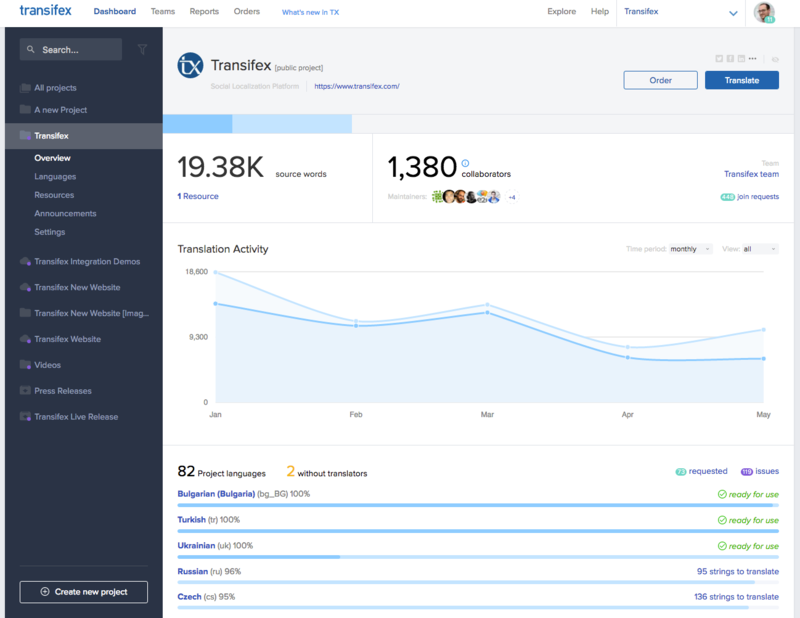 Transifex offers an Open Source Program to Open Source projects that have no funding, revenue, and/or commercialization model. The intent is to support small and independent Open Source projects. If your project does not fall in this category, please contact us to discuss the appropriate pricing. A link to your project's code repository. The repository must contain a LICENSE file stating your project's license type. For example, your project might be hosted on GitHub and have a LICENSE file stating that it's released under the GNU General Public License (GPL). One important thing to note is that even if your content or software is openly available or free to use, it doesn't mean it is Open Source. Projects are only Open Source if it has an OSI-approved license. If you're unsure, consult with a legal advisor. Try out the full feature set for free during our 15 day trial, then have your account automatically convert to the open source plan for your qualified open source projects. Only Organization Administrators can create projects in Transifex. Navigate to your Transifex Dashboard and click the Create new project button at the bottom left corner. Give your project a name. This can always be changed later. Select the project type - Public (public projects are visible to everyone). Check off "My project is a non-commercial Open Source project" and provide the public URL to your project. Choose a project type - File-based projects, for traditional localization files such as .po and XLIFF. Please note that Transifex Live is not available for Open Source projects. Pick a team to assign the project to. Or if you don't have any teams yet, select the "Create a new team for this project." Select the source and target language(s) of your project. The source language is the language you're translating from, and target languages are the ones you're translating to. The source language cannot be changed once you create your project, but you can always change your target languages later. Click the Create project button when you're ready. What happens when I am on the Open Source plan and I want a private project? If you'd like to create a private project, you'll need to upgrade to one of our paid plans. Your Open Source words will not count against your plan's word limits as long as it's an Open Source project with an OSI-approved license.